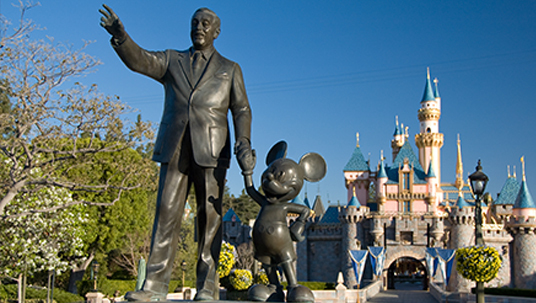 Join me for an exploration of the history behind the partners statue that features Walt Disney and Mickey Mouse. While the public story is that the partners statue was simply added to honor Walt Disney, the Imagineers had an ulterior motive. Disney Historian Jim Korkis and I trace the tale of this partners statue from the very beginning when Walt Disney declared that “statues are for dead people,” through the many iterations of the statue design, all the way up to the rededication ceremony that was blessed by a bird sent from Walt Disney in heaven. So, sit back, relax, and enjoy this week’s episode of the Disney Dose podcast. Please click here to Rate and Review the Show on iTunes–Thanks for the Support! Jim Korkis is the Disney Historian responsible for seven incredible books featuring many of the untold stories from the Walt Disney company. Jim first began his work as a historian at the age of 12 years old when he looked up the names of the animators from the credits of the Disney feature films in his hometown Burbank phone book. He had the chance to sit down with numerous Disney legends who were more than willing to share their stories. That was the beginning of Jim’s journey to share the stories behind the Disney magic that we all know and love. You can purchase Jim Korkis books on Amazon by clicking this link. By using the above link, you support Disney Dose at no cost to you. Simply complete any purchase through the link above and a small percentage of your purchase will help to keep us producing Disney Dose. Thanks for continuing to support the Disney Dose podcast. Looking to subscribe? Find us on iTunes and Stitcher Radio. For more about the show, visit our podcast page for all the info with links to every episode. Thanks for listening!